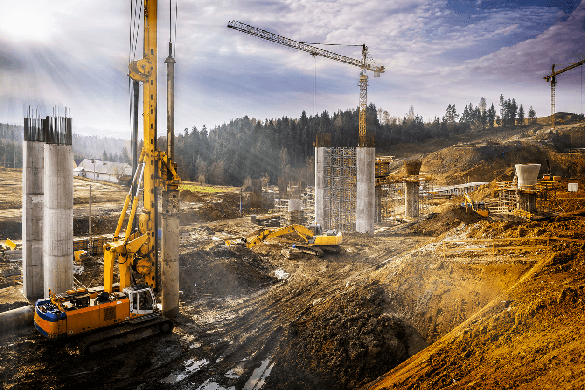 If you’re running a business in the construction industry, you’re already well aware of the potential for theft at construction sites. Your equipment is visible—and vulnerable to tampering, costly damage, or worse, especially if the site is unsecured for hours at a time. If your equipment is in the rental market, it too faces potential for loss. Let’s look at some recent, big-picture statistics regarding construction equipment theft and some best practices for safeguarding your assets. Thieves are most likely to steal equipment that’s valuable and easy to move, but not necessarily in that order. Dozers and wheel loaders are the most valuable, but backhoes and skid steers are easier to transport, and therefore represent a greater percentage of thefts. When it comes to theft by manufacturer, the following are the 5 brands most commonly stolen (mainly due to their compact, easy-to-steal size): John Deere, Kubota, Bobcat, Cat, and Toro. Equipment produced in the last ten years accounted for 75% of reported thefts. In July of 2017, $8,000 worth of construction equipment was stolen from a site in Burlington, VT.
A New Bedford, MA, man—responsible for more than $100,000 in construction equipment throughout the state—was found to have operated a scheme of renting equipment and then selling it for profit. A South Windsor, CT resident was arrested for breaking into a construction trailer and stealing $40,000 worth of computers and tools. According to the NER/NICB report, only 21% of stolen equipment was recovered in 2016. You can increase the odds of recovery by quickly reporting theft and providing as much information as possible to law enforcement and organizations like NER and NICB. But what about preventing incidents in the first place? Resources on Maine.gov offer additional pointers to manage theft prevention, including implementing a check in/out procedure for all construction tools and equipment, establishing an end-of-shift security inspection protocol, and contacting local police before starting a job so they can make regular patrols around the area. To help in the case of theft, they recommend measures such as taking photographs of your high-value pieces, painting equipment with easily recognizable colors to identify them from a distance, and displaying warning signs that alert possible thieves that equipment and tools are being tracked and monitored. Today, you can also employ technology to help secure and track your equipment, not to mention aid in recovery. 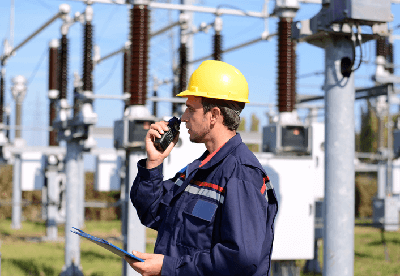 Aside from the aforementioned security cameras, popular tools include the telematics devices for geofencing and GPS tracking, RFID (radio-frequency identification) tracking, keyless ignitions that require an operator to input a pin code, and even drone surveillance to keep an “eagle eye” on your site. Learn more at ConstructConnect. Another important component of protecting your construction equipment, vehicles, and assets—on and off the job site—is adequate and appropriate business insurance. Acadia Insurance specializes in providing insurance to construction firms and specialty trade contractors throughout the Northeast. Learn more about Acadia’s contractors’ equipment insurance offerings and contact an Acadia Insurance agent for more information. Be sure to read Construction Site Hazards and Loss Control to find out what you can expect when we visit construction sites to assess your safety programs, perform inspections, or to manage documentation related to losses. Acadia Insurance is pleased to share this material with its customers. Please note, however, that nothing in this document should be construed as legal advice or the provision of professional consulting services. This material is for general informational purposes only, and while reasonable care has been utilized in compiling this information, no warranty or representation is made as to accuracy or completeness. Distribution of this information does not constitute an assumption by us of your obligations to provide a safe workplace. Maintaining a safe workplace in accordance with all laws is your responsibility. We make no representation or warranty that our activities or recommendations will place you in compliance with law, relieve you of potential liability or ensure your premises or operations are safe. We exercise no control over your premises or operations and have no responsibility or authority to implement loss prevention practices or procedures.